After a spate of serious posts, comes something different. Something recreational that I am passionate about. Something in my view that could easily be considered ‘the greatest of all time’ in its category. Yesterday Nintendo unveiled the latest chapter in the Zelda saga, and I am already frothing at the mouth to get ahold of this beautiful game. 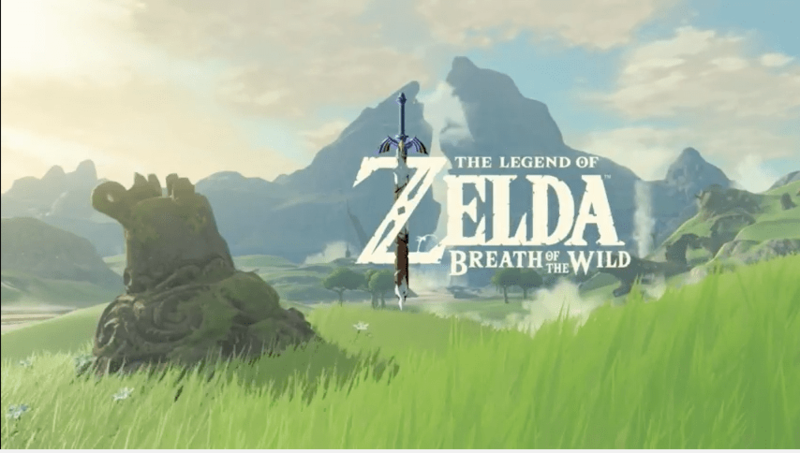 The hints have been that The Legend of Zelda will be returning to its roots with this title, and Breath of the Wild certainly appears to be doing exactly that. The sheer scale of the world created for BofW is said to stretch the Wii U to its limits, and it is by far and away the largest world ever created for a Zelda game. Every time I thought the map was maxed out, it got bigger, and the landscape on show as Link stood upon the top of rock faces and hills was breathtaking. 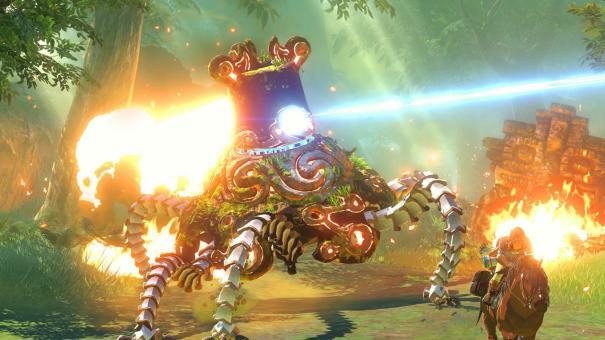 It looks like certain conventions of recent Zelda games are being broken. Non-linear exploration is going to form a huge aspect of this game, and Link can now seemingly make potions and craft objects to help him (as well as using the land to help him – at one point in the trailer he’s pushing boulders down hills to crush bad guys, whilst in another clip he’s setting fire to grassland). He can acquire axes to chop down trees and gain firewood, and he can steal weapons from vanquished foes. Whereas previous games have tended to indulge in monologues to explain the story, this game isn’t going to fill you in. You will find out for yourself why there are giant mechanical machines lying in decay across the landscape. 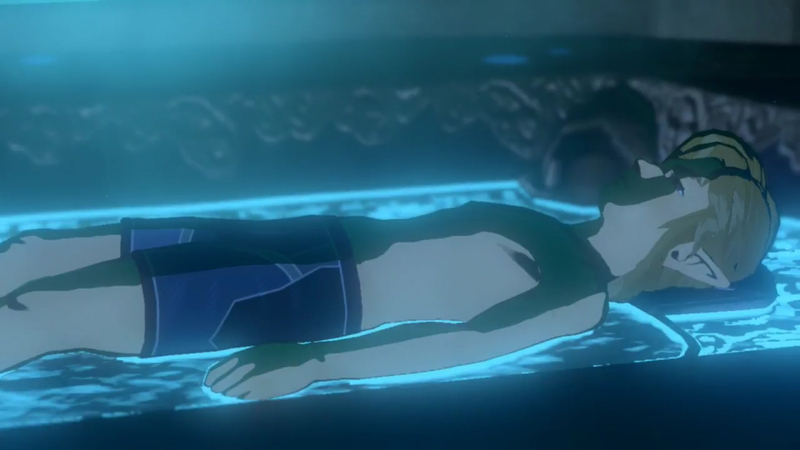 In short, it seems this Zelda game will start you with nothing, leaving you to learn as you go – which is fine with me. It would appear you can go anywhere and climb anything. Link can also jump, and there’s some sort of bullet time thing going on with combat. Nintendo have also introduced voice acting – well, a voice over, possibly from Zelda herself. The standard dialogue box remains for the other characters met so far. 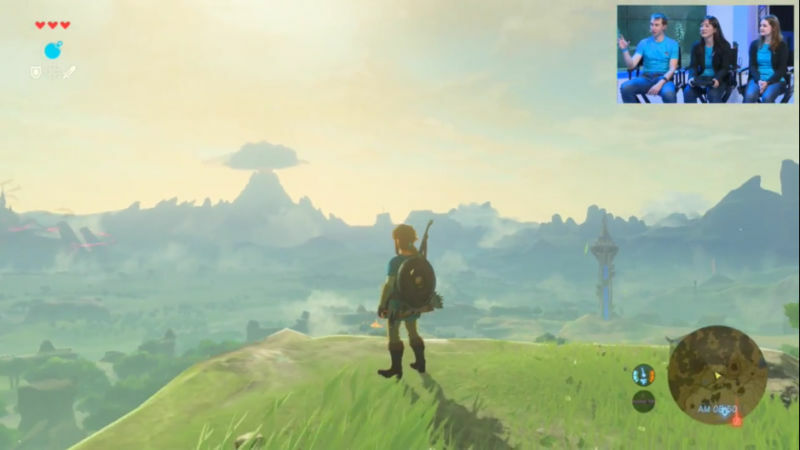 Breath of the Wild is a new beginning for Zelda, and also for Nintendo. It is pushing the Wii U to its limits – and it looks stunning – but what of the NX version? Everything from the demo came from the Wii U – they have revealed precious little from their new console. The question now is – how can I afford an NX?? ?